Area of Speacialization : To provide a professional service to all customers via all available Contact Centre Channels. • Handling back office activities (Non – Technical Dispatch and follow ups). • Handling Multi-media activities and Outbound (Proactive Customer Interactions) Campaign. “Eskom is committed to equality, employment equity, and diversity. In accordance with the employment equity plan of Eskom and its employment equity goals and targets, preference may be given, but is not limited, to candidates from under-represented designated groups. 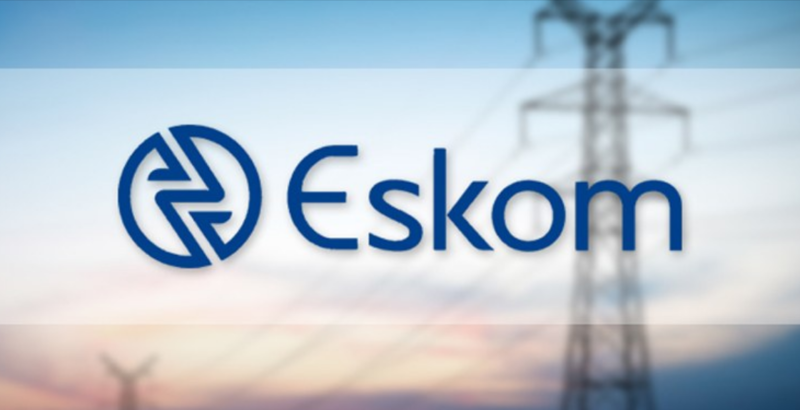 Eskom reserves the right not to make an appointment to the posts as advertised. Candidates with disabilities are encouraged to apply for positions. Bachelors degree or National Diploma with majors in Economics, Accounting or Finance, internal Auditing or Risk Management. Basic knowledge of MFMA and other Municipal Acts and regulations. Performing the audit on different departments in the Municipality. Reporting the findings to the Chief Internal Auditor. Performing any other duties assigned by the Chief Internal Auditor. A recent graduate with three years Bachelor’s Degree or National Diploma in Accounting, Cost and Management Accounting or Auditing or Risk Management from University or University of Technology. NB: Application must be submitted on the signed Thulamela Local Municipality application form, accompanied by comprehensive CV and certified copies of certificates to be forwarded to: The Municipal Manager, Thulamela Municipality, P/Bag x 5066, Thohoyandou, 0950 or be submitted to Office No.130 (B) during office hours. For administrative enquiries contact: Thenga A.R at tel: 015 9627775. Have you completed a learnership or a skills development programme aren’t sure where to go from here? New graduate and looking for an internship? Are you a South African between the ages of 18 and 35? Then you need to sign up with the NYDA JOBS Programme! 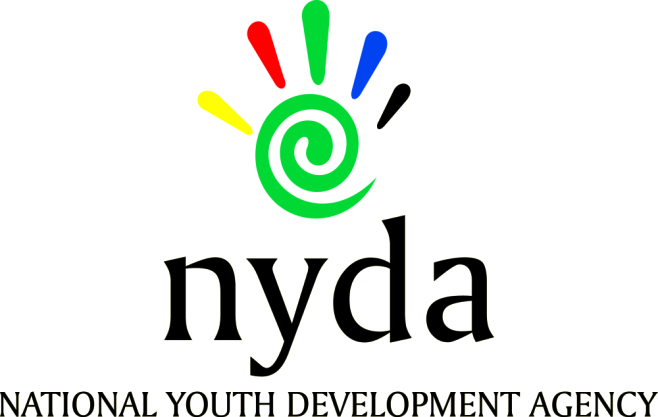 What is the NYDA JOBS Programme? JOBS is an online database for unemployed youth seeking employment opportunities. It is a product managed through the Skills Development and Transfer unit of the NYDA, and seeks to contribute to the Government’s ASGISA programme and the JIPSA initiative by helping to facilitate the link of unemployed youth to employment and other skills development related opportunities. So how do you access the JOBS Programme? You can register on our website (www.nyda.gov.za), by creating a registration login via the Self Service Portal link on the home page. Or call us on 0800 52 52 52 and we’ll register you! So register on JOBS today- and Make It Happen! Do you have employment or training opportunities available within your company / organisation? If so, please make contact with us! We have a team of nationally based, professional and committed JOBS officers available to ensure that we are able to source and refer the most suitable candidates to your organisation. Tips : Start learning forex today and make living out of it. REQUIREMENTS : Standard 8/ Grade 10. Knowledge: Cleaning Practices, Catering, Office Practice. Skills: Interpersonal relations, Verbal communications, Listening. DUTIES : Ensure clean office environment at all times e.g dust furniture and equipment. Provide food service (assist in providing tea and water during meetings). Assist in distributing stock. Assist with messenger functions. Distribute incoming faxes, record outgoing faxes, record incoming faxes in the register. ENQUIRIES : Mr MH Tabane, Tel no: (016) 430 0000 APPLICATIONS : Chief Director: Provincial Operations: PO Box 4560, Johannesburg, 2001Hand deliever at 77 Korte Street, Braamfontein. NOTE : Applications must be submitted on form Z83, obtainable from any Public Service Department or on the internet at www.gov.za/documents. The fully completed and signed form Z83 should be accompanied by a recently updated, comprehensive CV as well as recently certified copies( Not older than 3 months after publication of the advert) of all qualification(s) including a Senior Certificate and ID-document [Driver’s license where applicable]. Non-RSA Citizens/Permanent Resident Permit Holders must attach a copy of their Permanent Residence Permits to their applications. Should you be in possession of a foreign qualification, it must be accompanied by an evaluation certificate from the South African Qualification Authority (SAQA). Applicants who do not comply with the above-mentioned requirements, as well as applications received late, will not be considered. The Department does not accept applications via fax or email. Failure to submit all the requested documents will result in the application not being considered. Correspondence will be limited to short-listed candidates only. If you have not been contacted within eight (8) weeks after the closing date of this advertisement, please accept that your application was unsuccessful. Suitable candidates will be subjected to a personnel suitability check (criminal record, citizenship, credit record checks, qualification verification and employment verification). Where applicable, candidates will be subjected to a skills/knowledge test. All shortlisted candidates for SMS posts will be subjected to a technical competency exercise that intends to test relevant technical elements of the job, the logistics of which be communicated by the Department. Following the interview and technical exercise, the selection panel will recommend candidates to attend generic managerial competencies using the mandated DPSA SMS competency assessment tools. Successful candidates will be appointed on a probation period of 12 months. The Department reserves the right not to make any appointment(s) to the above post. Successful candidates will be expected to sign a performance agreement. Today in South africa , forex trading is a day to day lanuage , however most of you thinks it is a scam. let me tell you if you do not distroy that thinking , you will always follow and call someone your boss. For more information regarding Correctional Services Learnership for 2016 or next years, you can ask to the following addresses based on your current location. • Provide technical consulting services for the operation of project-related matters to minimise possible project risks. • Compulsory registration as a Professional Construction Project Manager with the SACPCMP. • Keep up with new technologies and procedures, research/literature on new developments on project management technologies. • Continuously monitor the exchange and protection of information between operations and individuals to ensure effective knowledge management according to departmental objective. • 3 years’ architectural experience. • Monitor that the required documentation from an architectural perspective are submitted by the Districts, project files are updated and submitted to the Centralised Document warehouse. • Registration with SACAP as a Candidate Architectural Technologist. • Follow approved programme of development for registration purposes. • Registration with SACAP as an Architectural Technologist. • Identify and optimise technical solutions by applying architectural principles. • 6 years’ post-professional experience. • 3 years’ post-registration qualification. • Report on expenditure and service delivery. • Liaise with relevant bodies/councils on engineering-related matters. • 3 years’ post-qualification engineering experience. • Knowledge and understanding of policies and legislation governing spatial information and development planning in South Africa. • Render mapping services to the entire department/production of maps for departmental/Government use. • Participate and liaise with relevant bodies and council on GISc matters. • 4 years’ post-qualification valuation experience. • Interact with professional bodies and councils and bodies to enhance new developments in technology and methodology related to valuation. These are all 5-year contract posts. Telephonic enquiries for Strategic Hub posts should be forwarded to Ms Paulina Shai at (015) 284-7311 or Mr Makape Pat at (015) 284-7440. The Department of Public Works, Roads and Infrastructure is an equal opportunity and affirmative action employer. Women and people living with disabilities are encouraged to apply. Applications should be submitted on the Z83 form, obtainable from any Public Service Department and should be accompanied by a Curriculum Vitae, certified copies of qualifications and Identity Document. Applicants with foreign qualifications should attach certified copies of certificates for evaluation by the South African Qualifications Authority (SAQA). Faxed applications will not be considered. Successful candidates will be vetted for security reasons and be subjected to suitability checks. Applications for Head Office (Polokwane) should be forwarded to: The Head of Department, Department of Public Works, Roads and Infrastructure, Private Bag X9490, Polokwane 0700 or hand delivered to Works Towers Building, No 43 Church Street, Polokwane 0699. Closing date: 31 March 2017 at 16:00. If you have not heard from us within 90 days of the closing date of the advert, kindly regard your application as unsuccessful. Correspondence will be limited to short-listed candidates only. REQUIREMENTS : Grade 10 or equivalent with 3 -5 years of relevant experience. Extensive knowledge and understanding of Batho Pele principles. Excellent verbal and written communication skills. Good inter-personal relations skills. In possession of a valid driver’s license. Ability to work independently and under pressure. PDP served as added advantage. DUTIES : Provide driver’s services. Management of incoming and outgoing correspondence. Delivery and collection of documents and assets at all levels within the Department. Tracking of documents that were delivered and/or collected. Provide administrative support to the office. The successful candidate who does not have the NQF Level 5 financial management qualification will be required to obtain it, in terms of the National Treasury requirement.